Have you ever been unable to live the life that you want to live because of your credit score? Were you denied a loan to buy your dream home? Your dream car? Has your low credit score hindered your ability to get a job in your chosen field? Unfortunately, your credit score is more important today than it has ever been before. A low score can mean missed opportunities, high interest rates, higher insurance premiums, and more. So what can you do to get yourself out of a low-score predicament? We’ve put together a list of five easy things that you can do right now to improve your credit score. Some of these may not take effect right away, but when it comes to credit, consistent responsibility is key, and there are no magical quick fixes. The key to building good credit is showing the credit bureaus that you’re responsible enough to handle taking on the responsibilities of debt. Having a few credit cards that are being maintained on time is the perfect way to prove that you’ve got what it takes to handle any financial situation. Your utilization rate is the percentage of your maximum balance that you’re actually using. For the best results, this number shouldn’t go above 30%. You need to be able to show that you’re using credit cards, but aren’t relying on them for everyday purchases. Your credit history is based on years of data, but your recent credit history weighs more heavily than the rest. If you’ve been late on your monthly payments, stop it! Paying your bills on time every month will cause your credit score to improve almost immediately. Amazingly, errors on your credit report are not an uncommon occurrence. Companies that have sold your debt to other companies may continue reporting that you owe them, causing you to get penalized twice for the same debt. Credit card companies may report your limits as lower than they really are, throwing off your utilization rate. The point is this: get a copy of your credit report and make sure that you’re not being unfairly punished. While you may sometimes move on to bigger and better credit cards, cancelling your old card is usually a bad move, no matter how good it looks. Fifteen percent of your credit score hinges on the age of your credit cards, so dropping a card that you’ve had for five years can have a very negative effect on your credit score. Instead of canceling the card, try setting up one automatic payment to be paid for with the card, and then set up an automatic bank payment to pay off the card. That way the card won’t be considered inactive, but you won’t have to worry about what’s going on it. 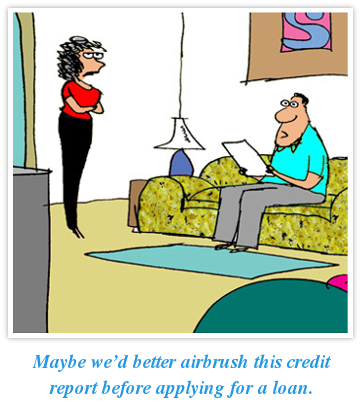 Speak with a professional at Lexington Law about repairing your credit. Saturday, 9 a.m. to 10 p.m.
Sunday, 9 a.m. to 8 p.m.